Joe Dorish Sports: How Many Wins Does Tiger Woods Have on the European Tour? As most golf fans know, Tiger Woods has 79 career wins on the PGA Tour which is the second most all-time trailing only Sam Snead's 82 wins. But how many career wins does Tiger Woods have on the European Tour? Without any doubt, the European Tour is the second best golf tour in the world trailing only the PGA Tour. Going into the 2018 Ryder Cup, the European players actually have a 10-8 advantage in wins over American players. One cannot argue that the European Tour is better than the PGA Tour, though, since the best players in Europe always matriculate to playing on the PGA Tour. Looking at the career wins on the European Tour for Tiger Woods once again points out just how great a golfer he is. In addition to having the 2nd most wins on the PGA Tour, Tiger Woods has the 3rd most career wins on the European Tour. How many wins is that? Tiger Woods 40 career wins on the European Tour is the 3rd most trailing only Seve Ballesteros (50 wins) and Bernhard Langer (42). Since Bernhard Langer is 18 years older than Tiger Woods it's unlikely he will ever win another European Tour event so it's not impossible that Tiger Woods could surpass Langer for 2nd place all-time. The main reason Tiger Woods has 40 career wins on the European Tour is because all the golf majors and all the WGC (World Golf Championship) tournaments are co-sanctioned by both the PGA and European Tours. 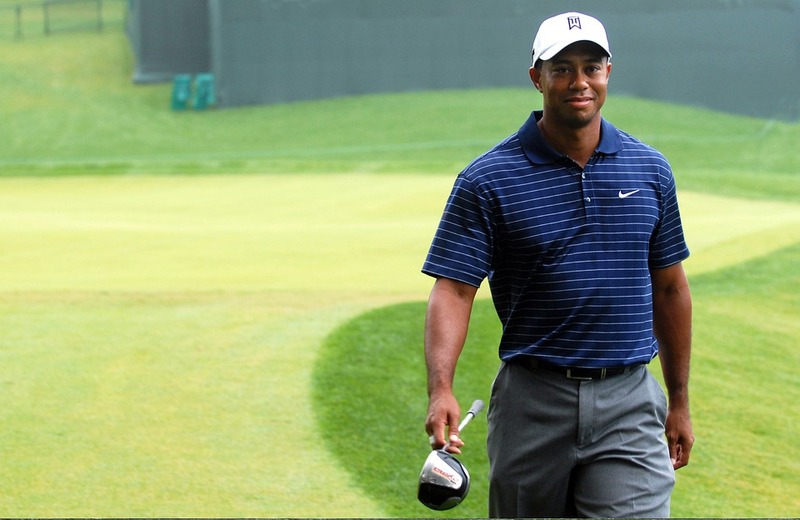 Tiger Woods has 14 wins in the golf majors and has 18 wins in WGC events. All of those 32 wins count on both the PGA and European Tours. Tiger Woods has also won eight other tournaments on the European Tour as follows. Add up all those wins and you get 40. The 40 wins on the European Tour, good for 3rd best all-time, are another reminder of just how great a golfer Tiger Woods is.